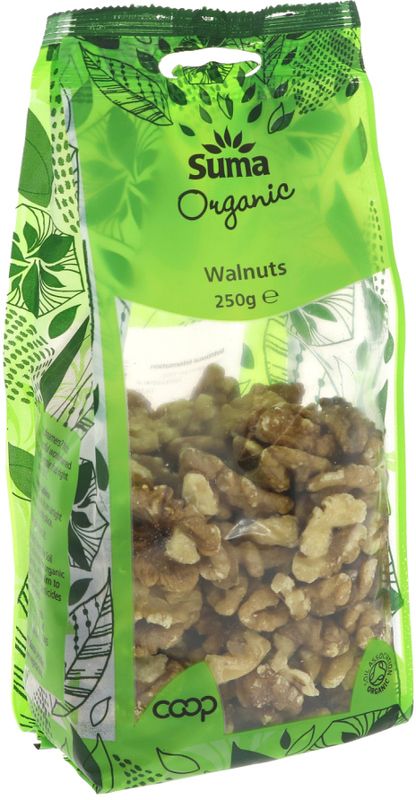 250 grams organic, vegan friendly Suma Prepacks Walnut pieces. These walnut pieces have that classic strong flavour which makes them a perfect choice to eat as a snack, or use in stuffings, salads, cakes, puddings, etc. Contains nuts. Unsuitable for small children - risk of choking.Check before use as this product may contain shell fragments. The Suma Prepacks Organic Walnuts 250g product ethics are indicated below. To learn more about these product ethics and to see related products, follow the links below. Great source of energy between meals. Fresh tasty nutritious and organic. 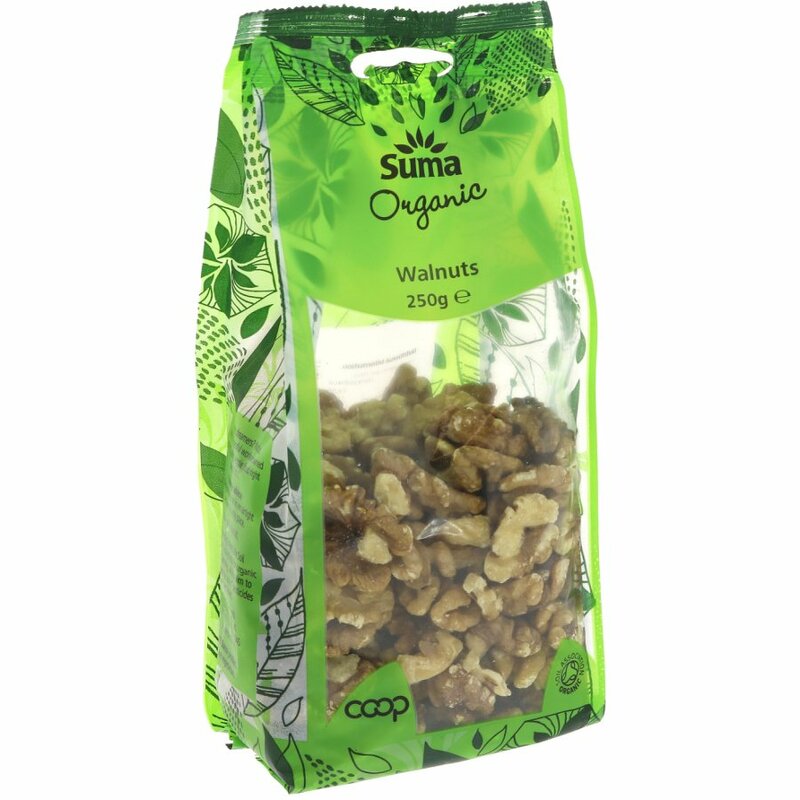 There are currently no questions to display about Suma Prepacks Organic Walnuts 250g.